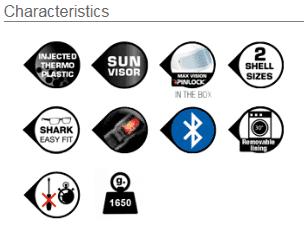 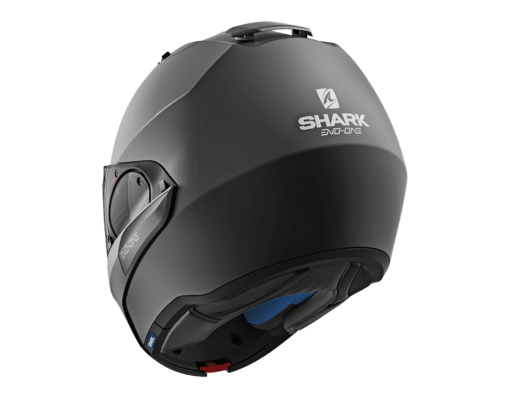 Major innovation in SHARK’s EVO line: compactness and a full array of technical characteristics already rank it among the SHARK brand’s greatest successes. 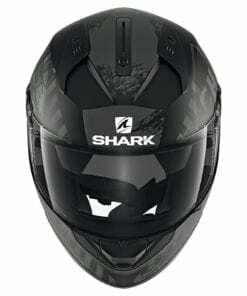 The SHARK Helmets EVO-ONE 2 a direct evolution of our world famous EVOLINE SERIES 3, the first modular helmet model that received the double full-face / open helmet certification in Europe along with 5 stars obtained in the SHARP crash test. 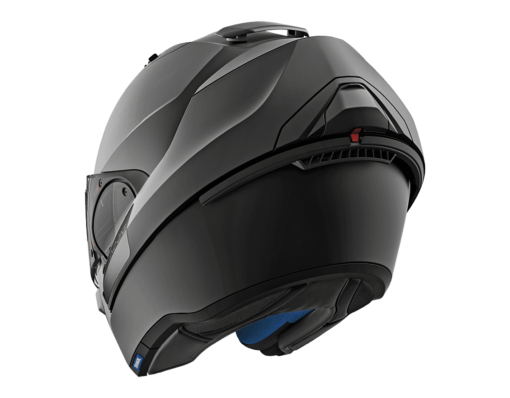 This premium modular helmet offers the freedom of an open face helmet as well as the comfort and security of a full face helmet. 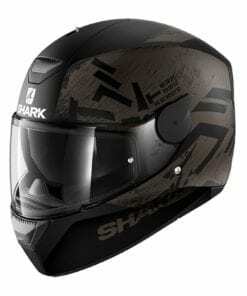 The SHARK Helmets EVO-ONE 2 brings various improvement as enhanced chin locking system, new auto up and down visor and a general reviewed kinematic. And unlike many other “flip up” helmets the SHARK Helmets EVO-ONE 2 is ECE approved for riding with the chin-bar in both open and closed position. 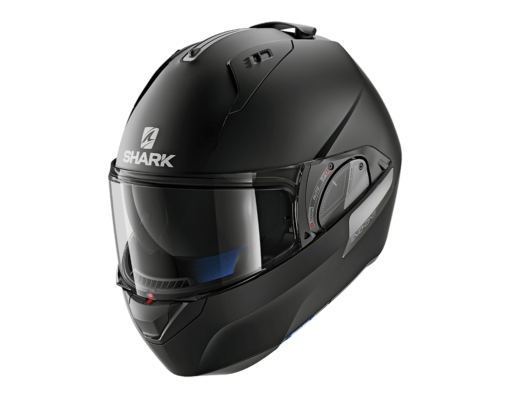 Full face helmet ECE certification. 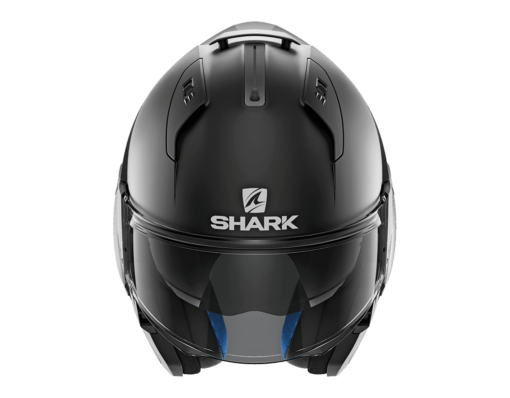 Patented “Auto-up / Auto-down” system allows to automatically lift the visor while raising or lowering the chin guard.